This transitional cocktail table has a simple design that would complement many styles. The oval shape creates a nice flow around the table, perfect for displaying something special. The dark finish of the legs balances the transparency of the glass inlay, making the table feel both sturdy and light. 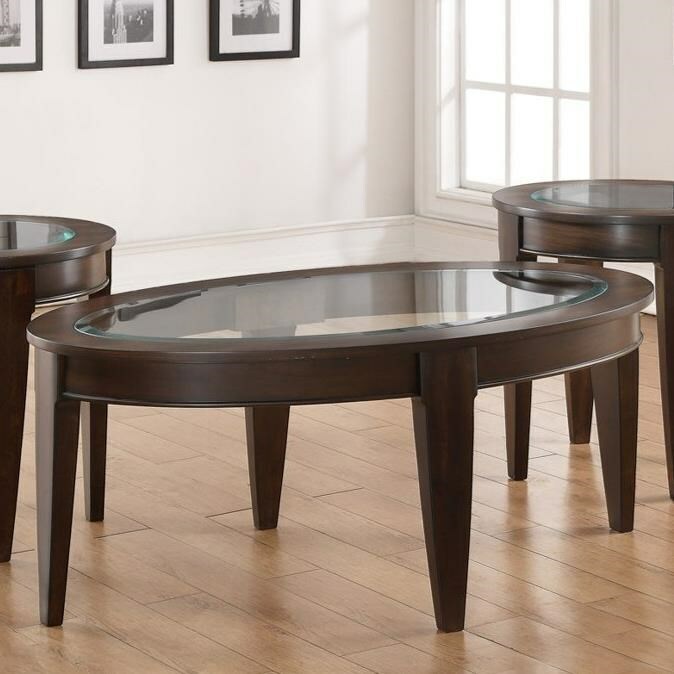 The 7519 Transitional Oval Cocktail Table with Glass Inlay by Simmons Upholstery at Royal Furniture in the Memphis, Nashville, Jackson, Birmingham area. Product availability may vary. Contact us for the most current availability on this product. Description: Top The top of each table has a large glass inlay. The transparency adds a lighter more airy feel to each piece. Browse other items in the 7519 collection from Royal Furniture in the Memphis, Nashville, Jackson, Birmingham area.